The agency said that is because as before, the pre-conditions of abundant mosquito vector levels still exist, and increased levels of dengue are being reported in Latin America and elsewhere. It is imperative as rainy season begins in many countries that efforts to stop mosquitoes breeding and biting be stepped up, especially for pregnant women and vulnerable populations. These mosquitoes borne diseases such as dengue, chikungunya and zika threaten health, tourism, social and economic development, so everyone needs to work together. Dengue remains a global health problem and like zika and chikungunya, there is no specific treatment for the disease. 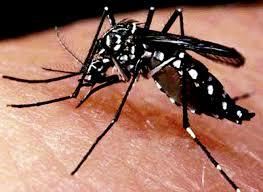 “Although dengue is not new to the Region, we need to gear up for the possibility of a severe outbreak. This virus has been increasing in frequency over the past 30 years. Reports from Latin America elsewhere show markedly increased dengue in recent months, so we in the Caribbean can expect it will soon be here,” CARPHA Executive Director, Dr C. James Hospedales said in observance of Caribbean Mosquito Awareness Week 2018. “We need to clean up our surroundings. The two most important things to manage mosquito populations in our Caribbean countries are to manage water storage drums and tanks, and properly dispose of used vehicle tires to prevent mosquitos breeding,” stated Dr Hospedales. Caribbean Mosquito Awareness week was declared at the 17th Special Meeting of the CARICOM Heads of Government in November 2014 on Public Health Threats, and is an important reminder to the general public to take action to reduce their risk of diseases spread by mosquitos.